Various different aspects must be considered in order to transfer documentation management, including knowledge and information management, from a paper-based system into an electronic IT system. 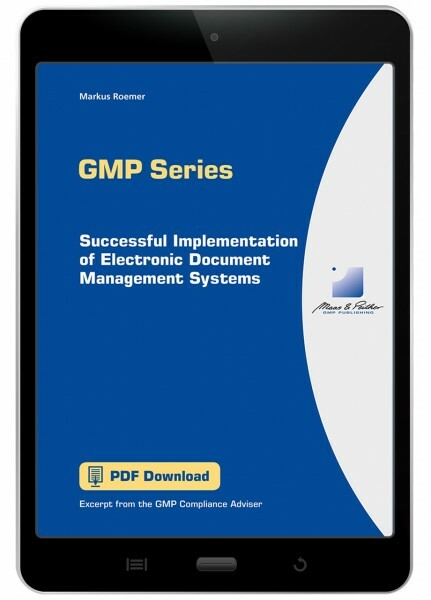 Our management report on Electronic Document Management Systems offers a sensible approach for planning and implementing a document management system. A primary objective of electronic document management systems (DMS) is to support the processes of the Quality Management System. In addition, such systems can generate measurable parameters for the Process Performance and Product Quality Monitoring System introduced in the ICH Guideline Q10. An additional advantage can reside in the support of multilingual usage (user interfaces), and the administration of documents in different languages. Various different aspects must be considered in order to transfer documentation management, including knowledge and information management, from a paper-based system into an electronic IT system.